There’s a newcomer to The Breakfast club and it’s one that I’m completely obsessed with – Waffles. Popular in the 80’s as a diner special that came with soft-scoop vanilla ice cream and squeezy bottles of neon coloured sauces. With unusual combinations like Matcha green tea, pumpkin pie and even Spanish-style churros, the waffle is back! Today we’re talking savoury. 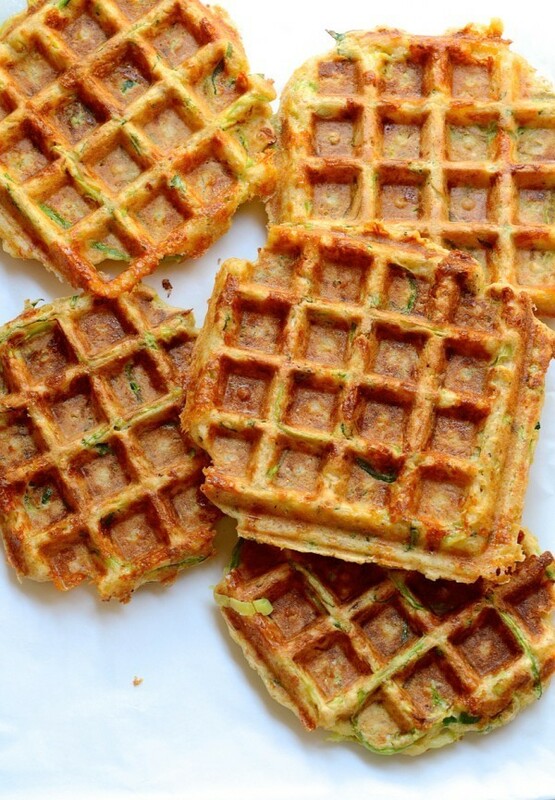 Cheesy vegetables waffles. 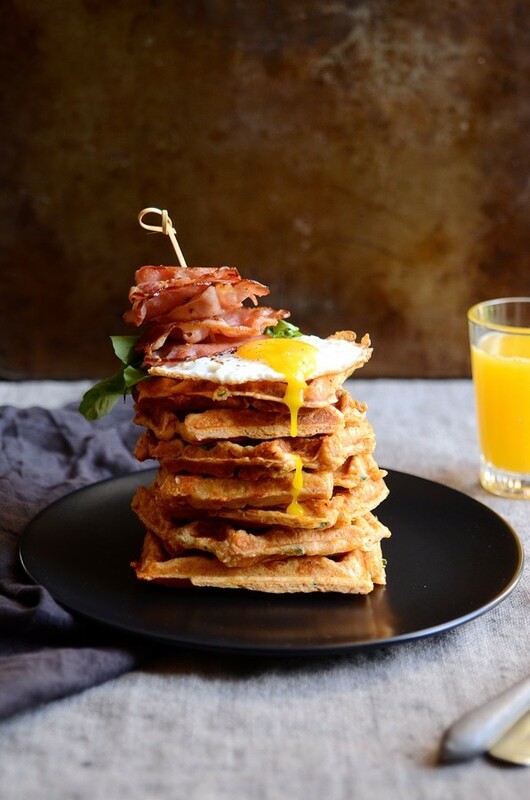 And for those who can’t imagine breakfast without bacon and eggs, we’ve got that covered too. As a food blogger, I’m always on the look-out for new ingredients and interesting products. Invariably these items end up in my shopping trolley. Although I’m not always sure what I’m going to do with them, I’m optimistic they’ll turn into something delicious. There are however a couple of odd condiments that are more successful as kitchen ornaments. And then, there are some so good they become kitchen staples! Like spaghetti vegetables. 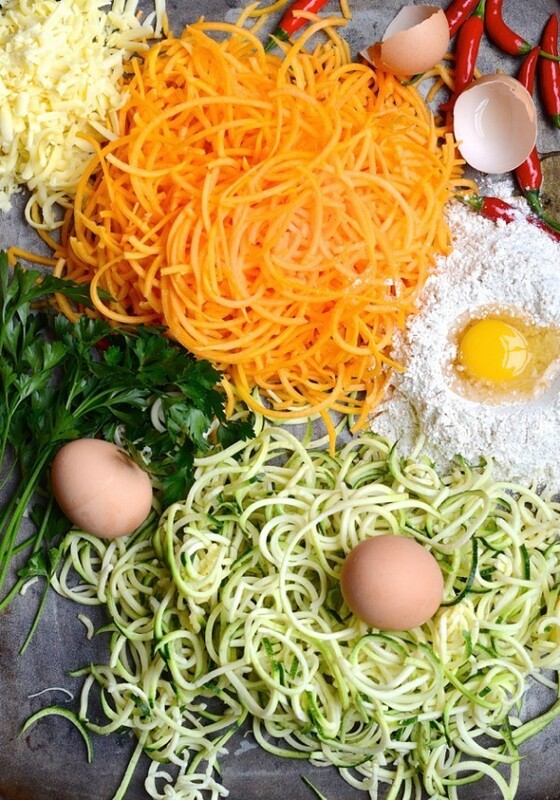 Ever since Tim Noakes endorsed zucchini and butternut as mainstays to the LCHF diet, spaghetti veg has become a firm favourite in many South African households. Spiralled veggies are everywhere and come in shades of butternut orange, zucchini green and beetroot red. I recently spotted this trio at my local Woolworths and as usual, couldn’t resist throwing them in the basket. Yes, now comes the question, ‘What to do with spaghetti veg?’ Zucchini pasta’s been done before so I didn’t want to revisit that one. Thinking as a mother who’s sole purpose hinges around how to get children to eat more vegetables, this was the next logical step. 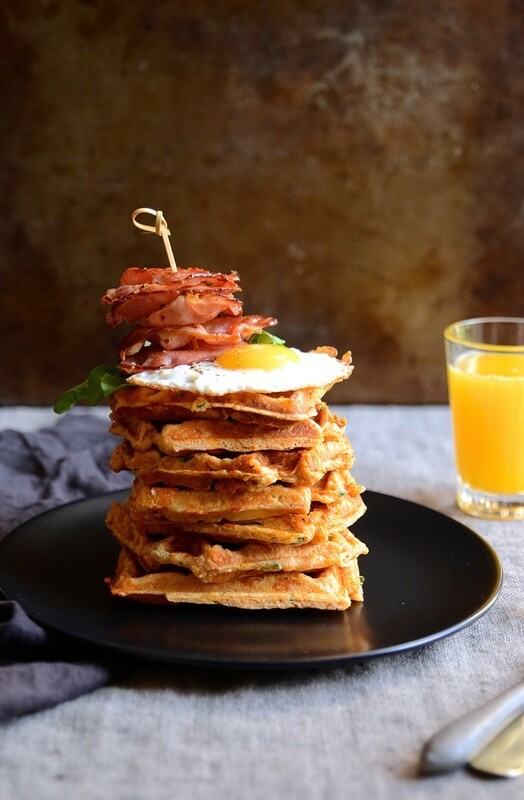 Who can refuse a waffle, especially when there’s cheese involved? 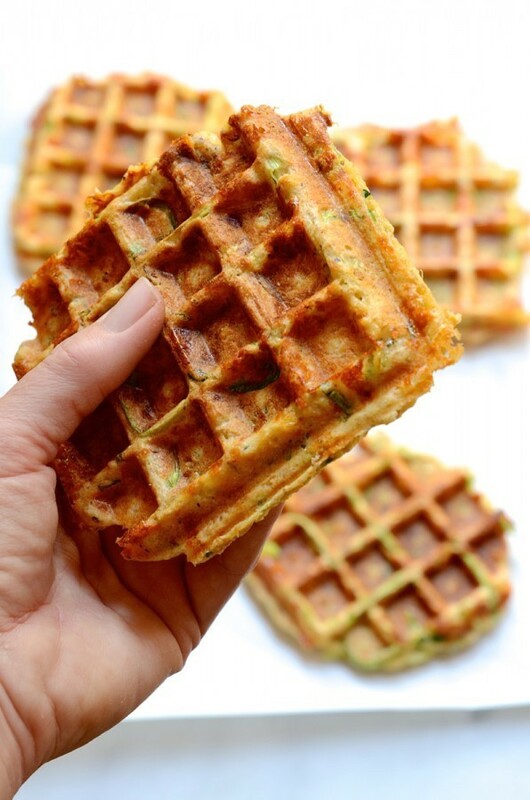 I make a triple batch of these cheesy waffles and keep them on hand for after school lunches or a quick and easy breakfast. As any seasoned waffler knows, waffles are best eaten hot off the press. If you’re making these ahead of time, pop them in toaster for a couple of minutes to crisp up and reheat. The batter is made with bran rich self raising flour. This product is another new-comer to local supermarkets. Sasko is currently the only local brand that produces a bran-enriched self raising flour. For additional flavour, I add spring onions, paprika and some fresh chilli. Once the batter is mixed, add handfuls of spag beetroot, butternut or zucchini. For the beetroot version, I crumble in some feta. 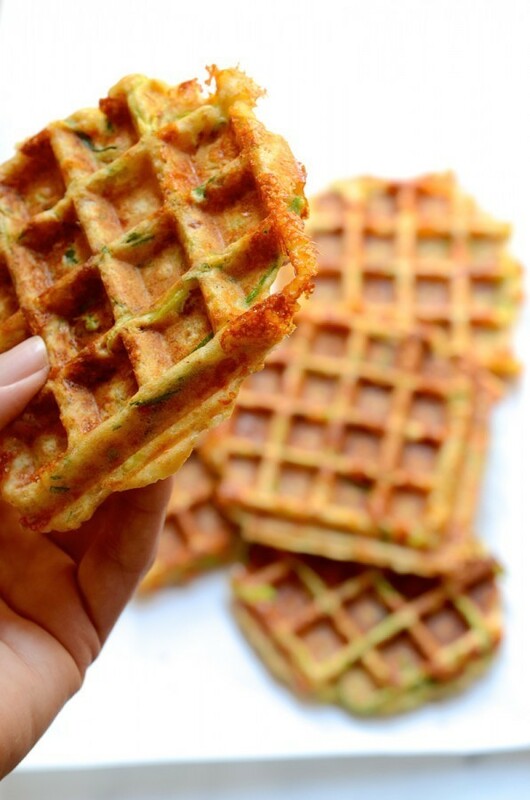 As the vegetables are relatively fine, they only need a few minutes in the waffle iron to cook through perfectly. Simple. Fast. So good! Now we’re having bacon and eggs with waffles, plus cheese and vegetables for breakfast. This is what I’d call a Happy meal. Great thinking . This is ingenious ! It’s a “must try” for me – I will certainly try them. They’re quite addictive Angie. I also add corn sometimes and have even used the Indian vegetable fritter recipe in the waffle machine instead of pan-frying. It worked a treat! Thanks Da. You’ll be eating loads of these!